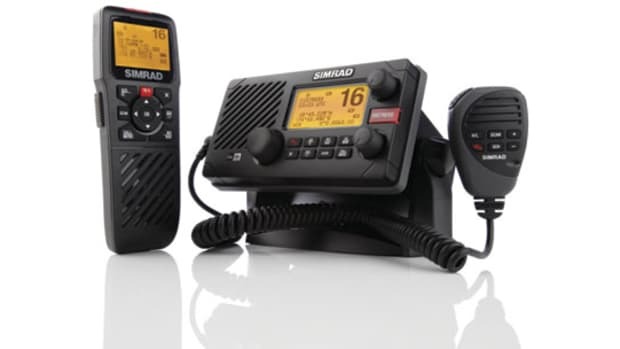 Handhelds provide many features that mounted VHFs provide—DSC distress-call capability, ship-to-shore and ship-to-ship communications, and access to weather radio—with some limitations. They should be carried as a backup to the boat’s main radio and are well-suited to communications between the mothership and a dinghy crew or other boats in an anchorage. However, handhelds tuned to marine frequencies may not be used for land-to-land communication and are limited in both range and power. Most have range limits between three and five miles, while the maximum range of a mounted VHF with an elevated antenna is typically much farther. 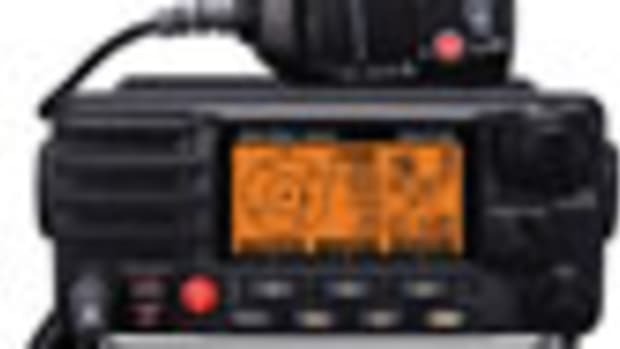 Fixed radios have a constant supply of power (provided the house banks are charged properly), while handhelds are limited by the capacity of their batteries. Look for a handheld that provides a variety of battery-charging options. Some are equipped with rechargeable batteries and different chargers that work on both A.C. and D.C. power. These are useful when the handheld is never too far from a charging source. 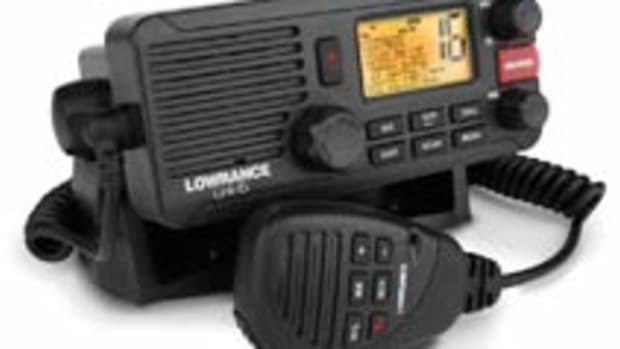 If you are looking for maximum mobility, many radios that come with a variety of chargers can also be powered by off-the-shelf AA alkaline batteries. 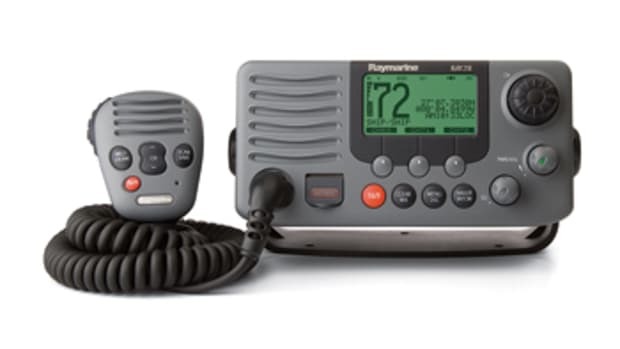 If you’re heading offshore, pack a radio equipped with an AA battery tray and an ample supply of fresh batteries in the ditch bag. Correct hailing procedure is to state the name of the boat you are hailing (usually on channel 16), then the name of your boat, followed by "over." "Over" tells the other party you have finished speaking. This is important because if both radio operators transmit at the same time, neither will be heard. Only one party can speak at a time. Any other words—"yoo hoo" or "Is anybody out there? "—constitute incorrect procedure. Once you’ve established contact, switch to a working channel. Once you’ve switched to a working channel, say the name of the boat you are hailing followed by the name of your boat. At the end of your conversation, say your boat name and "out" or "out, (your boat’s name), returning to 16." 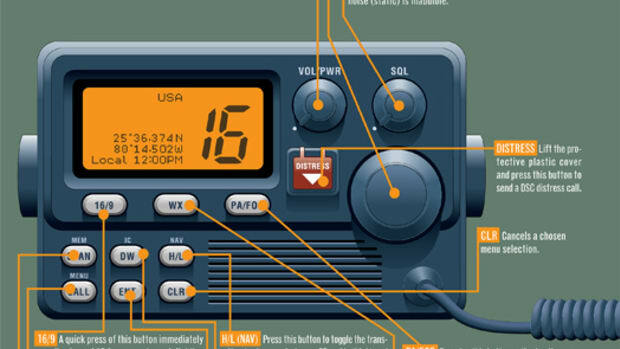 DSC is a semiautomated method of establishing a radio call simply by pushing the distress button. 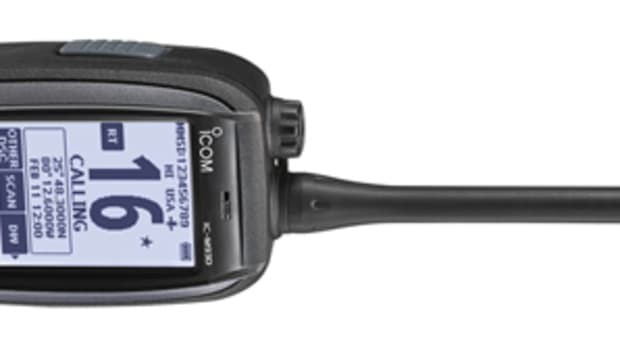 When the DSC button is activated, the radio automatically sends a distress call with GPS position (when a GPS is connected to the transceiver) and the nature of the distress to the Coast Guard and other vessels within range of the transmission. It then scans the appropriate channels for a response. DSC also allows users to immediately receive distress, urgent, safety, routine, position requests, and group calls from other DSC-equipped transceivers within range. 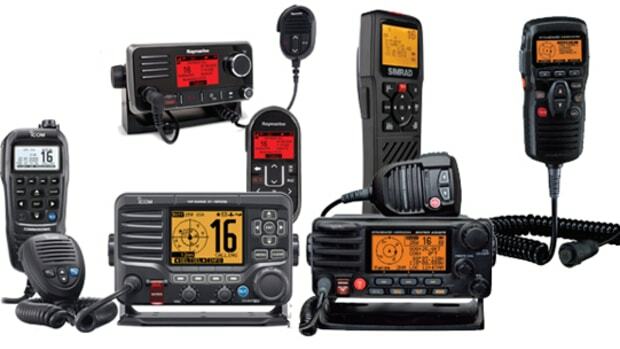 Every radio equipped with DSC must have a Maritime Mobile Service Identity (MMSI) number assigned to it. A radio’s MMSI is a unique nine-digit number (similar to a telephone number) that must be programmed into the radio and registered to operate the DSC functions. To register for a free MMSI number, log on to boat us.com/mmsi. 1. Lift the protective cover over the distress button, and press and hold the button until the radio’s display shows that the call has been sent. 2. Once the message has been sent, the transceiver will sound an audible distress alarm. 3. The transceiver will automatically monitor channel 70 for a DSC acknowledgement and will also receive calls on channel 16. 4. If no DSC acknowledgement is received, the transceiver will repeat the distress call at four-minute intervals until acknowledgement is received. 5. 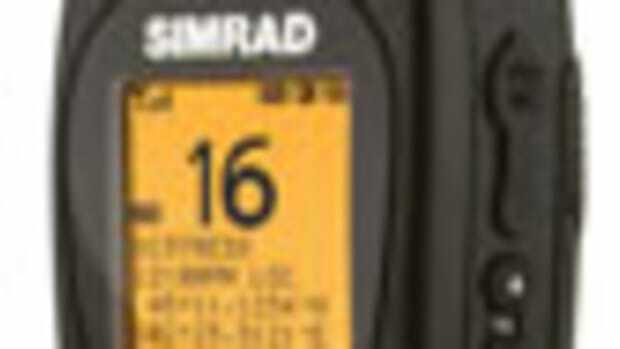 When the DSC acknowledgement signal is received, an alarm sounds, channel 16 is automatically selected, and the radio’s LCD screen shows the MMSI of the responding transceiver. 6. If the Distress button was pushed in error, many radios will cancel a distress call when the Clr and then Ent buttons are pushed.